The Stainless Steel Count Down 4 Slice Toaster is a stylish addition to your kitchen with its brushed chrome finish. 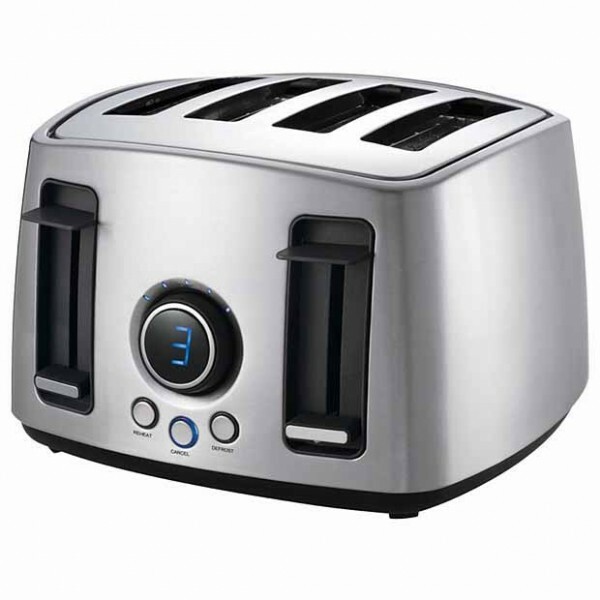 It features LED digital browning control, LED toasting countdown progress lights, high lift function for easy toast removal, push-out crumb tray, reheat, cancel and defrost settings making it both functional and practical. LED toasting countdown progress lights.